To travel is one of my main passions in life; travelling and all that it encompasses – people, language, culture, food, history, architecture. The world is full of so many wonders, and I for one, can’t seem to get my fill. No matter how, where to, or who with, you travel, this beautiful planet of ours has much to offer, and we have much to learn. 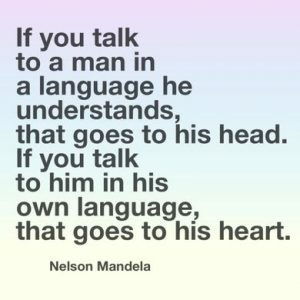 Learning a language for me, was and is one of the greatest pleasures of life. 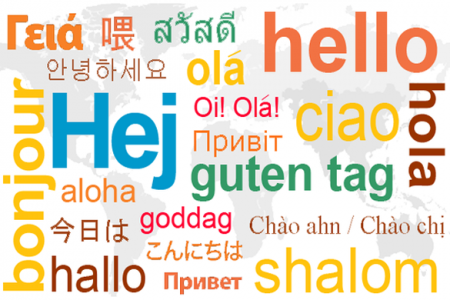 The feeling of being able to communicate in a language different to your native tongue, to express yourself in ways which don’t directly translate from your language, and to learn about people in their own language, is a joy quite unlike any other. I always regretted not taking a language at school; it wasn’t mandatory for GCSE. I think it is a real shame that here in the UK we do not push for language learning, and instead take for granted that in most countries, you are bound to find someone who speaks English. So, when I set off to South America, to an unknown destination, for an unknown length of time, it was number one on my agenda to learn Spanish, to be able to fully immerse myself in South American life. The way in which I learnt Spanish (and am still learning) was perhaps a little less conventional than for many, but it was by far the most fun, and the most effective. Full immersion. I had taken a very (poor) short Spanish course in Spain, which provided me with some very basic conversation, but I was by no means ‘prepared’ in the language department. It seems that most people either learn a language at school/university, take an intensive course, or at least use one of the many language-learning apps now available. I decided to challenge myself a little more, and placed myself in situations and environments whereby I had no choice, but to (try to) speak Spanish. I quickly realised that mime was my friend, and instantly became far more… ‘animated’ when trying to converse in Spanish! Despite South American countries being a popular destination for many backpackers from “Western” countries, I purposefully ensured that I was not surrounded by English-speaking individuals, and often took myself slightly further off-the-beaten-track. There is a very popular “route”through several countries, which most travellers tend to stick to, hitting all the top spots, and ticking off the main attractions from their bucket lists. I wasn’t really aware of this route, until I met a few individuals a couple of months into my travels, who were rather surprised that I had not arrived in the conventional way. By making my way to slightly more out-of-reach destinations, I rarely found people who spoke English, so had little choice but to communicate in my ever-expanding Spanish. As I was travelling solo, this too, was a fantastic way to force me to reach out, integrate, and stumble my way through the many complexities of Spanish. The very act of travelling, lends itself perfectly to learning a new language. If you’re not on an all-inclusive trip, chances are you’re going to have to ask for directions to the beach, order some (possibly unknown!) food, buy tickets to a museum, book a mountain biking tour… I encourage you to push yourself out of your comfort zone, in order to ‘create’ more scenarios in which you can use your new language. 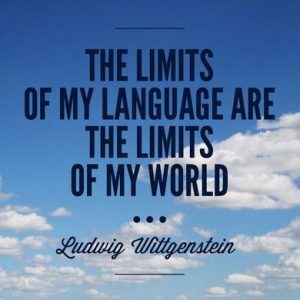 By expanding your comfort zone, you expose yourself to new vocabulary, new syntax, maybe a different tense, and the more you come across these, and attempt to use them, the more comfortable you grow in developing your understanding of the language. Even if you’re not engaging in conversation with someone, you can still learn. A couple of my favourites were to listen to music – with the added bonus of exploring new music genres; and to eavesdrop conversations – particularly on public transport. It is amazing how much you can pick up without even really thinking about learning. The brain is a sponge, and just like children, we absorb the information all around us. By understanding how it is spoken, it becomes more familiar, and eventually, easier to use. – Building a house in Argentina – including daily vocabulary practice for spade/bucket/pliers/shovel!